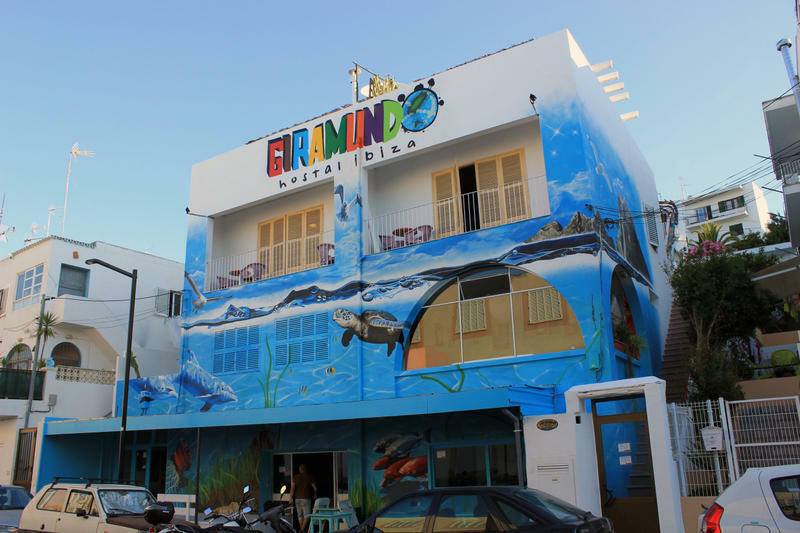 Giramundo Hostel accommodation has a young spirit and offers a cultural and lively place to travelers in Ibiza. 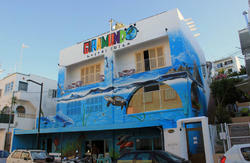 We offer a Hostel with all the amenities and services you need adn a great variety of room options! -Double rooms (double bed or bunk bed). -Triple rooms (one bunk bed). All our rooms include bed linen and towels, individual safety lockers. No curfew. You can also enjoy the breakfast included in your rates (from 1/5 until 30/09), our spacious and welcoming common living room and Wi-Fi service. Our goal is that you have a special holiday and enjoy the best of the island, taking advantage of the enormous possibilities it offers. Personalized service and tourist advice, disco tickets presale and boat trips are all also available. Giramundo is located on number 55 Ramon Muntaner street, 50 meters from Figueretas beach, 10 minutes from Ibiza's port and 5 minutes from Playa D'En Bossa. The easiest way of getting here is by taxi from anywhere in Ibiza. By bus: You can take number 10 bus from outside the airport hall. After Mc Donalds roundabout you must get off on Spain Avenue. From there just walk ahead to our street (Ramn Muntaner) and turn right.